The latest forklifts procurement research report from IBISWorld shows increased buying power for businesses dealing with forklift suppliers and manufacturers. This, along with other emerging market conditions, sheds a favorable light on the overall forklift market – and that means better value for both new and used forklift purchases. IBISWorld’s unique ranking system gives forklifts a buyer power score of 3.2, which means a balanced relationship between buyers and suppliers. The rating scale ranges from 1 to 5. A score of 1 indicates low buying power, and a score of 5 means high buying power. With a 3.2, the forklift market offers good value on both ends of the buyer-seller relationship. The forklift market has a large number of suppliers and producers (including Komatsu Ltd., Mitsubishi Electric and Toyota Industries Corporation). Because of this, forklift buyers are able to research and purchase with greater purchasing power. A greater supply, in other words, helps keep costs stable – something that forklift buyers (warehouses, 3rd party logistics companies, dockyards, etc.) use to their advantage. The IBISWorld report also showed how a forklift’s motor and maintenance schedule are two major factors that impact both upfront and ongoing costs. Since most forklift buyers are repeat customers, there are few “hidden surprises” when calculating purchasing price. With a strong forklift market projected for years to come, CertifyMe.net adds value to businesses by providing OSHA-compliant training. 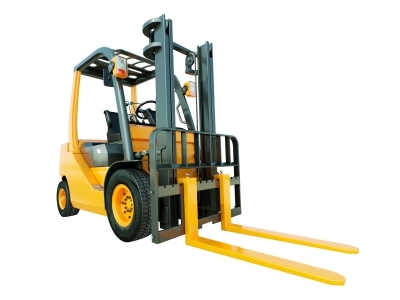 Forklift operators work with greater confidence and increased productivity when properly instructed. And with surprise OSHA appearances, companies like yours can be subjected to heavy fines and penalties. Having properly certified drivers helps avoid these headaches. Our forklift instruction programs are available in flexible, cost-effective online formats. If you’re interested in learning more about our programs, visit our contact page to send an email, or call us at (888) 699-4800. CertifyMe.net is ready to help in any way possible. Thanks again for reading our blog post! For more information, please visit the IBISWorld forklifts procurement research page.